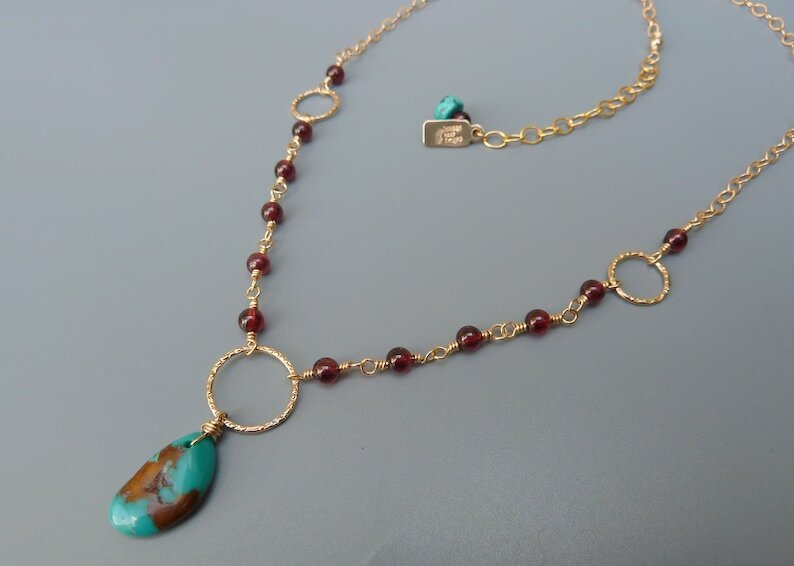 This listing is for a beautiful garnet and turquoise pendant necklace. A gold filled textured cable chain leads to wire-wrapped garnet beads that meet at a center point golden ring. The gold filled ring holds a dropped nugget of beautifully matrixed turquoise. 14k yellow gold filled.